We focus on the individual scenario of the client and provide an unbiased, straightforward and honest advice. With the backing of strong management team and expert support staff we are able to provide the client with the most efficient and affordable service. Ausyes Migration & Education Services was founded by Mr. Rakesh Mahajan. 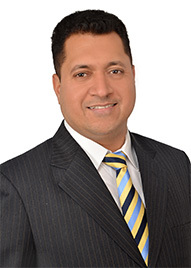 He is an Australian citizen, a Law graduate from India and a registered migration agent with the office of OMARA. In addition to this he has got more than 10 years’ experience in the field of overseas education and migration law back in India. Having lived in Australia for many years, he understands the difficulties faced by international students and migrants in Australia. His legal knowledge blended his vast experience in the field of migration and education helps the clients to achieve their goals smoothly. We at Ausyes does not believe in showing greener pastures to the clients and presents the true picture of their scenario and does not make any false promise. Due to our Expertise we take out the stress of filing visas and make sure that all our files are decision ready so that they can be processed smoothly without any delay by the Department. We always keep ourselves updated with ever changing migration law and keep our clients informed of the status of their cases and always make sure that they are not being adversely affected due to lack of updated knowledge.